Designing a landscape can be a challenge, especially in the planning stages. A landscape combines many different aspects together, including natural formations, both imported and natural flora, man-made constructs such as decks and pools, and views of the surrounding houses or wildlife. It can be difficult to know where to begin or what theme to use to tie the variables together. Fortunately, many different styles and templates are available to draw ideas from. There are several websites dedicated to providing specific templates for landscape purposes. This does not mean you will find ideas to fit every corner of your garden or yard, but you will find ideas for certain types of yards. For instance, the Landscape Design website includes information on a number of different yard types. If you have a circular driveway, you will find a guide for a possible design there--as well as a small garden, sunken swimming pool and odd-shaped yard design, among many others. At the website Landscaping Videos, you will find footage of different landscaping designs and particular facets of backyards, such as hot tubs. If you want to landscape for entertainment, for instance, then you can use the Outdoor Entertaining Plan. If you want a wide lawn space, then you can use the Design for Perimeter Gardens. Container garden and rectangle garden designs are also available on this site and many others like it. Just because a website does not offer free schematics for landscaping does not mean that you cannot use it. Many websites provide numerous pictures of different landscaped yards and gardens. By looking at these websites you can often find numerous ideas that will fit into a landscaping plan of your own. 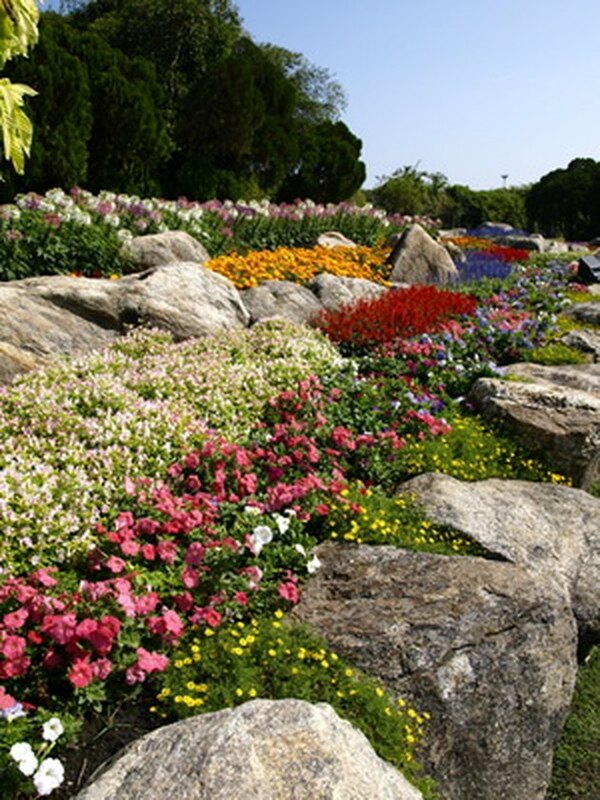 Try sites like LandscapeDesign Advisor to look at pictures. Lastly, you should consider downloading and using some type of landscaping software yourself. These programs allow you to build simple 3D versions of landscapes yourself for your own plans, and many have downloadable templates that you can also use. Several popular versions can be downloaded for free, such as SmartDraw or 3D Landscape for Everyone 2.0. Make sure you download these from a reliable site, such as CNccet.